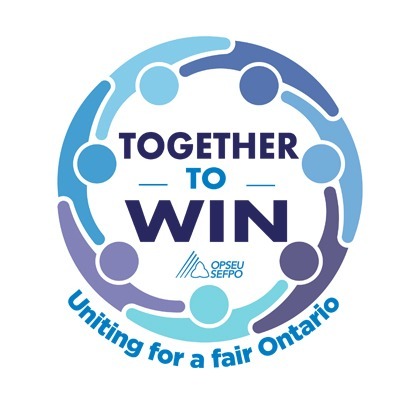 Join OPSEU, the Ontario Health Coalition (OHC) and many others across the health care and labour movement for a Giant Health Care Rally at Queen's Park on Tuesday, April 30, 2019. OPSEU will hold a pre-rally at 11:45 a.m. followed by a feeder march to the OHC's Queen's Park rally. Doug Ford's omnibus health care legislation will privatize and impose mega-mergers on health care. The legislation was written behind the scenes for months in secret with no public consultation. Take action! 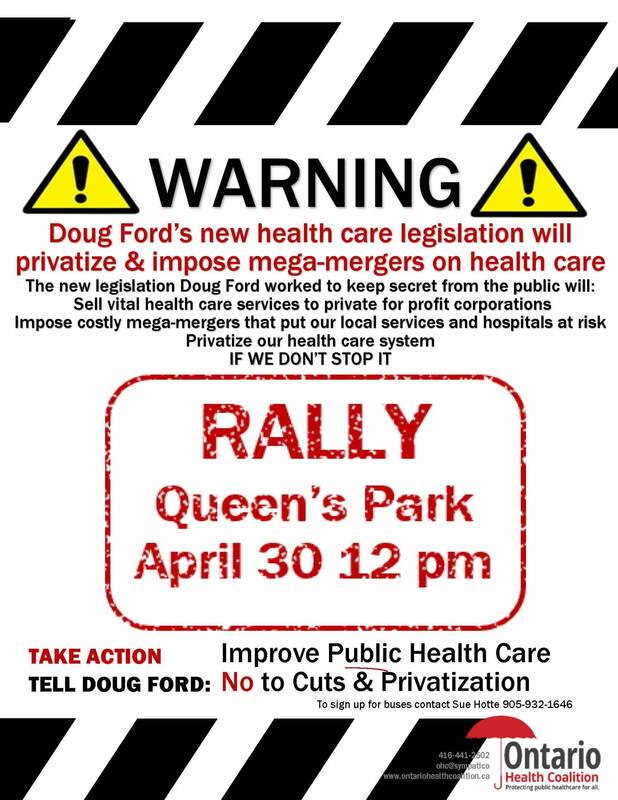 Tell Doug Ford: Improve public health care and say NO to cuts and privatization! Join OPSEU President Smokey Thomas and your OPSEU sisters and brothers at a pre-rally at 11:45 a.m. The we'll march together to Queen's Park and join concerned citizens, health care workers from across the province and the broader labour movement at the OHC's giant rally there! Click here for the Ontario Health Coalition's list of buses. See you on April 30! OPSEU Pre-Rally Location - 11:45 a.m.
After the pre-rally, we will march approx. 500 metres to the Ontario Health Coalition's giant rally at Queen's Park.